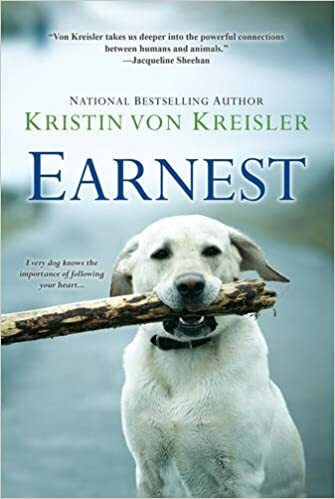 Earnest by Kristin Von Kreisler is a great story about how a couple adopts a yellow Labrador, and how the bond they’ve created stands against the test of life’s struggles. The story is told from three perspectives: Anna, Jeff, and their dog, Earnest. When Earnest’s humans feel themselves drifting apart after being together for 3 years, Earnest does what dogs do best: he gives endless love and reminds the couple that they should fight for each other because deep down, love is the strongest emotion. It’s a classic, “Why won’t they get back together already?! They love each other! Come on!” with the twist of their dog’s insight. A very fun & heart-warming read indeed! Share your thoughts with us!